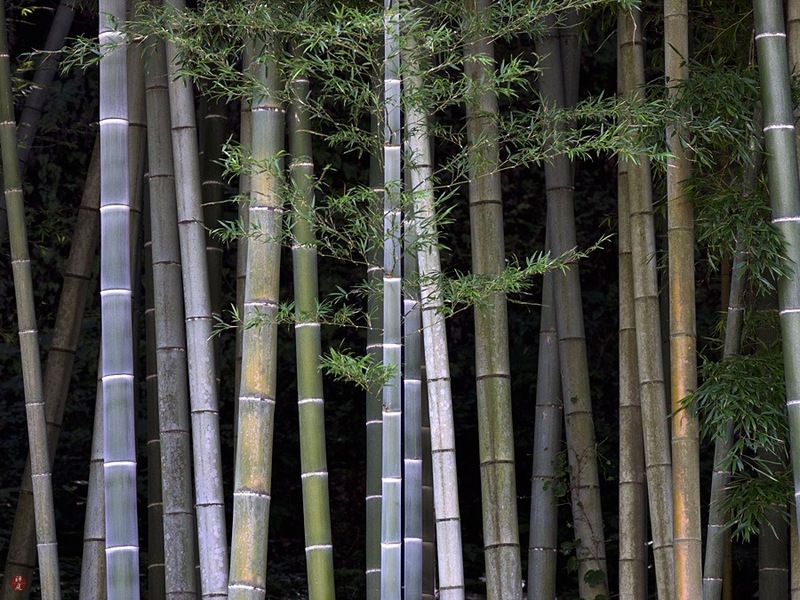 Through the seasons changing unceasingly, a bamboo grove keeps on growing with single-hearted devotion like an awakened sage who knows the true meaning of life. 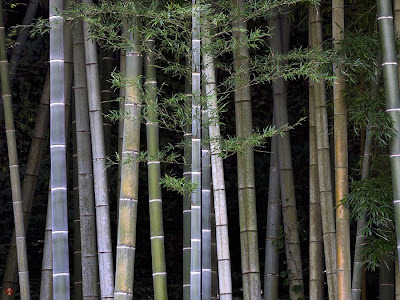 The whole body of a bamboo grove is really an individual living organism. 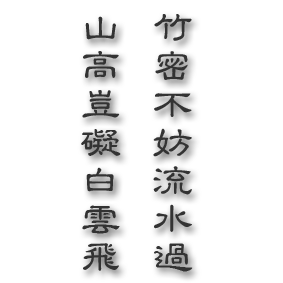 One bamboo seedling grows into a dense grove by steadily spreading its subterranean stems and sprouting bamboo shoots one after another. In the sweltering heat of this high summer, the vital force of living things is shining brilliantly in front of my eyes.